Published in Internal Medicine Journal, this is the first study to report an association between respiratory infections such as pneumonia, influenza and bronchitis and increased risk of heart attack in patients confirmed by coronary angiography (a special X-Ray to detect heart artery blockages). Patients were interviewed about their activities before the onset of their heart attack, including if they experienced a recent “flu-like illness with fever and sore throat.” They were considered affected if they reported sore throat, cough, fever, sinus pain, flu-like symptoms, or if they reported a diagnosis of pneumonia or bronchitis. A second analysis was among those with symptoms restricted to the upper respiratory tract, which included the common cold, pharyngitis, rhinitis and sinusitis. “Although upper respiratory infections are less severe, they are far more common than lower respiratory tract symptoms. Therefore it is important to understand their relationship to the risk of heart attacks, particularly as we are coming into winter in Australia,” he said. “This winter peak in seen not only in Australia but also in other countries around the world is likely due in part to the increased incidence of respiratory infections. “Our message to people is while the absolute risk that any one episode will trigger a heart attack is low, they need to be aware that a respiratory infection could lead to a coronary event. 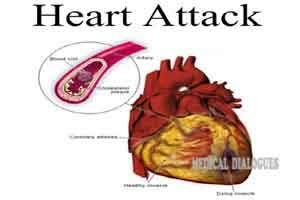 So consider preventative strategies where possible, and don’t ignore symptoms that could indicate a heart attack.